A quick and easy one for you all this week. Does anybody ever read ‘the only four receips you’ll ever need’ in the Saturday Times Magazine? 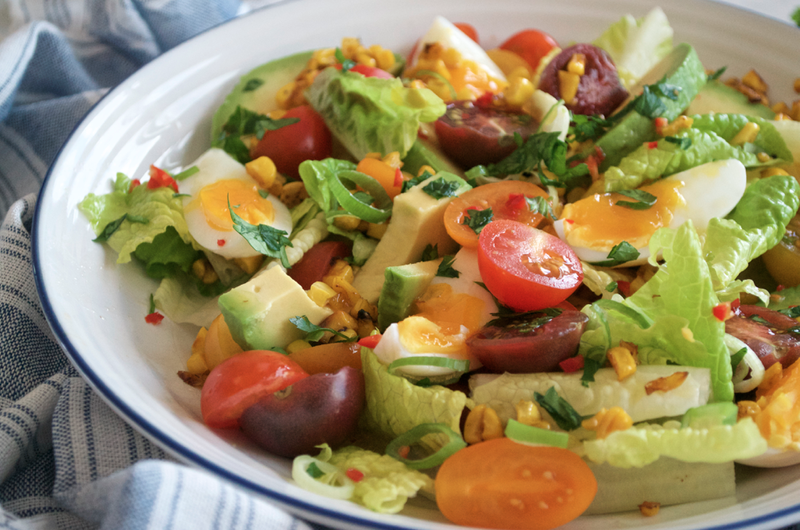 Each week you are given four variations on a staple recipe and a couple of weeks ago they tackled the egg salad. 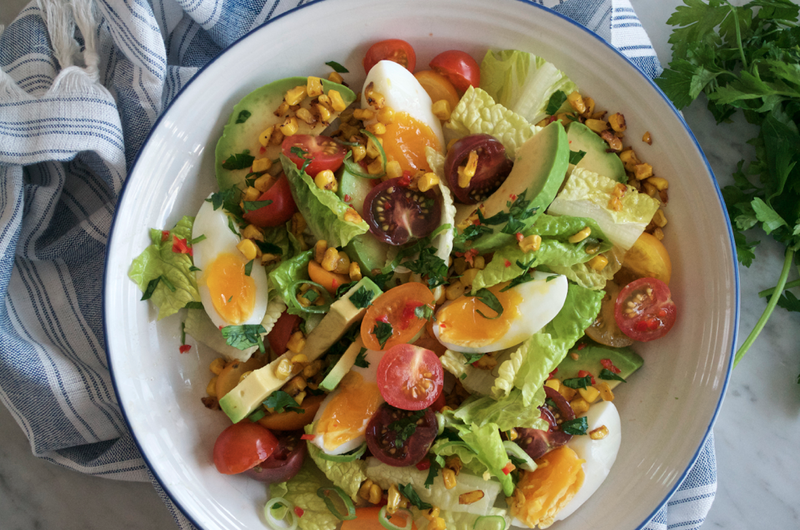 The one that caught my eye was the Mexican version – a light and zingy little salad made up of some of my all time favourite ingredients – avocado, soft-boiled eggs, charred corn…need I go on? And even better – it’s one of those blessed recipes that you can whip up in mere moments. Here’s my take on it. Start by boiling your eggs for 6-7 minutes (6 will give you a very runny yolk, after 7 they will have firmed up a little more). Run the eggs under cold water to stop the cooking process and then peel and quarter lengthways with a sharp knife. 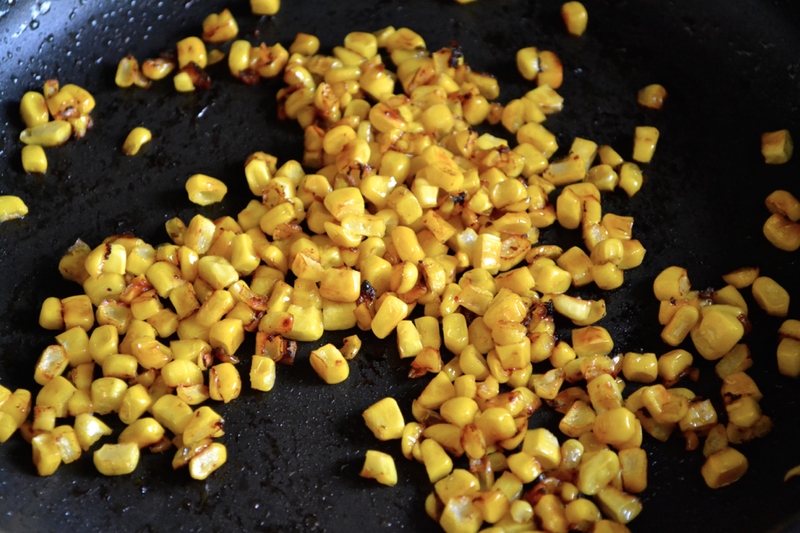 Next, take the corn and sauté in a little olive oil for around 10-15 minutes until they have charred and blistered. Set aside to cool. 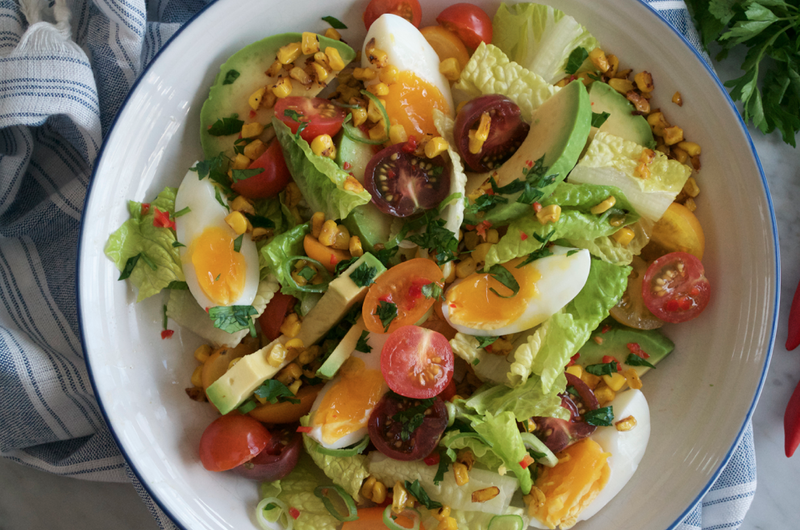 Roughly chop up the lettuce and assemble on your serving dish along with the tomatoes, avocado, eggs and corn. Sprinkle over the spring onions and coriander. 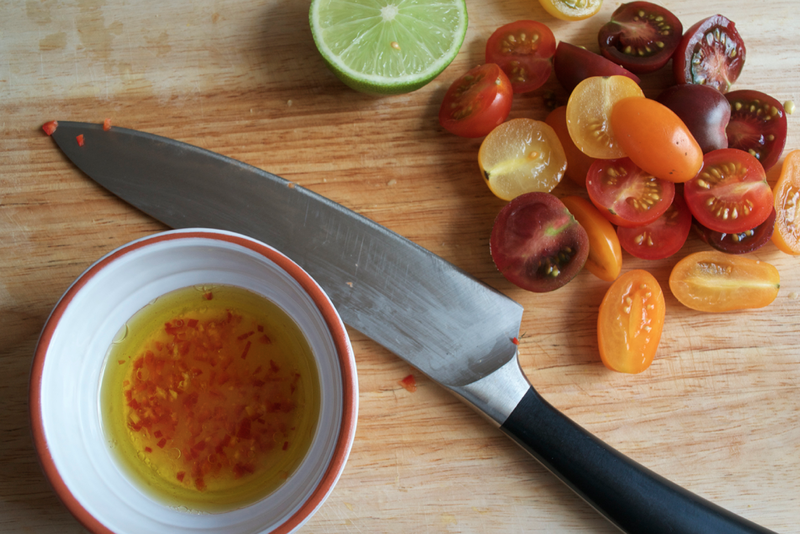 To make the dressing simply whisk up all the ingredients and drizzle over the salad.